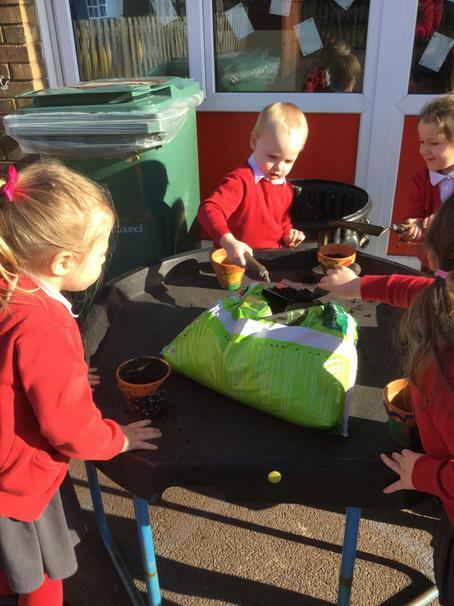 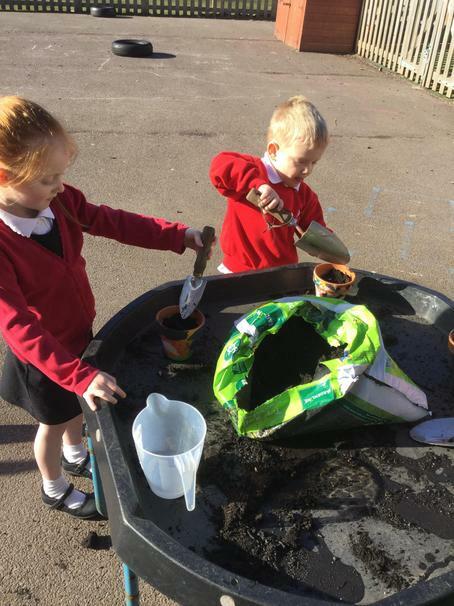 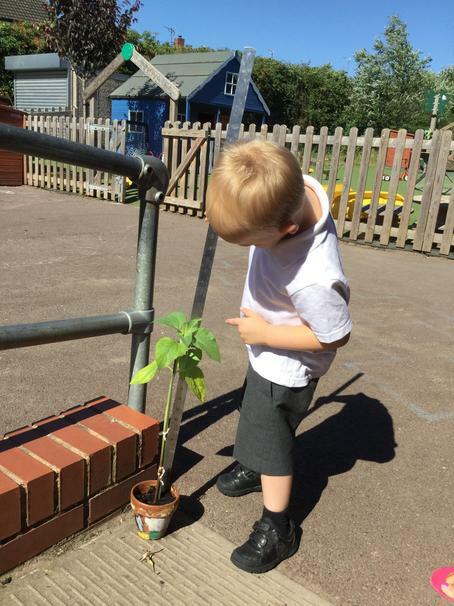 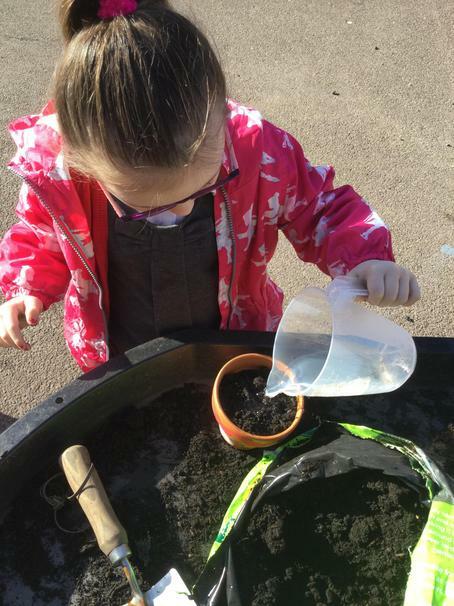 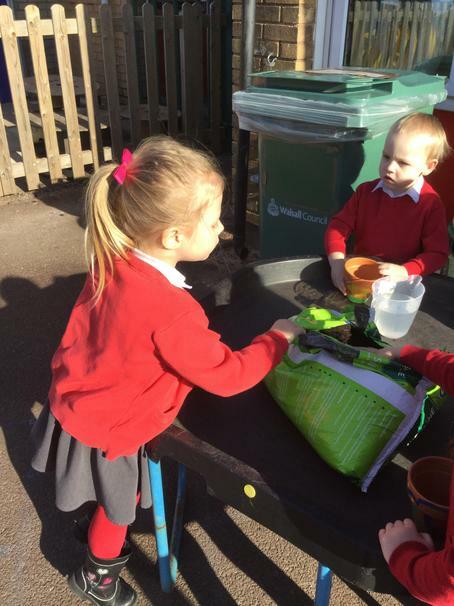 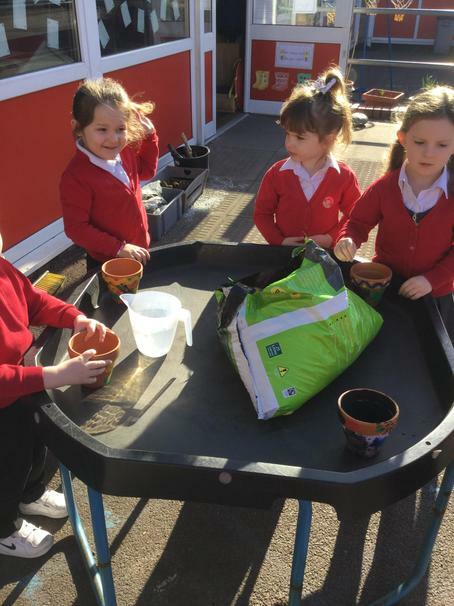 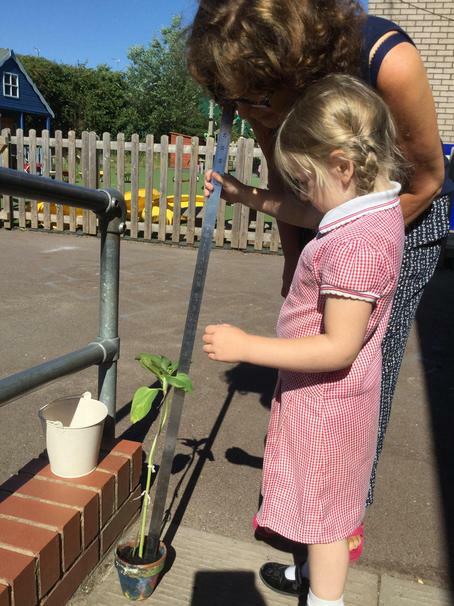 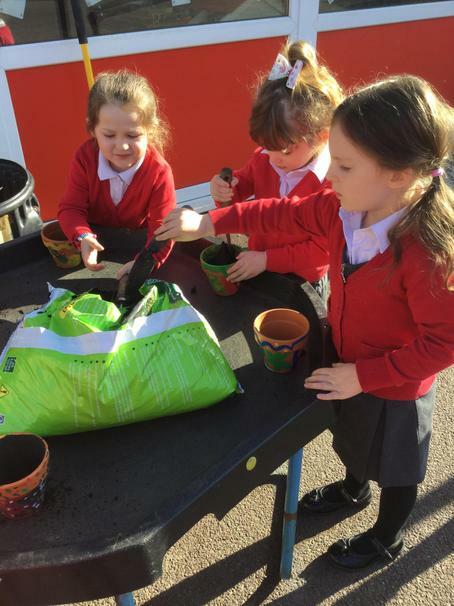 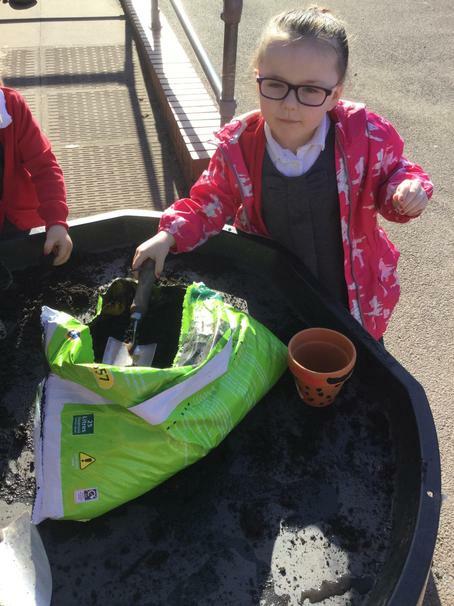 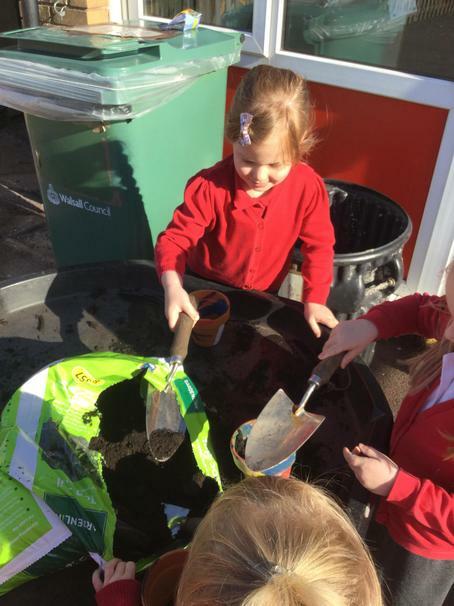 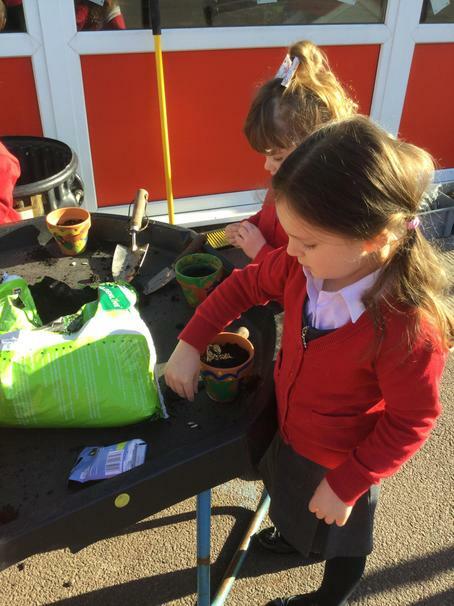 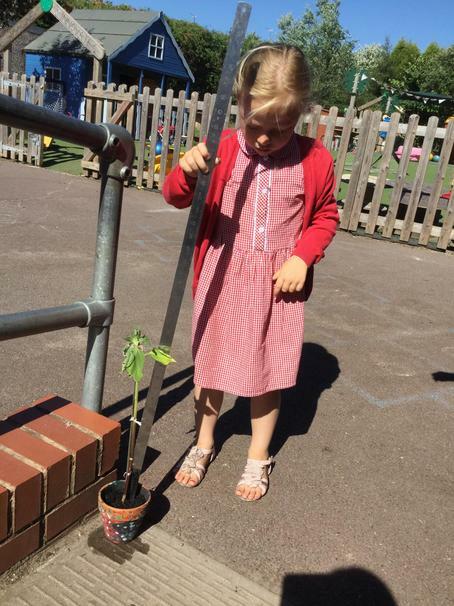 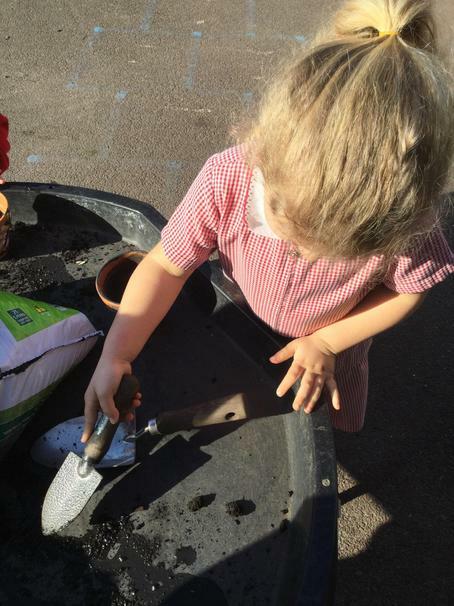 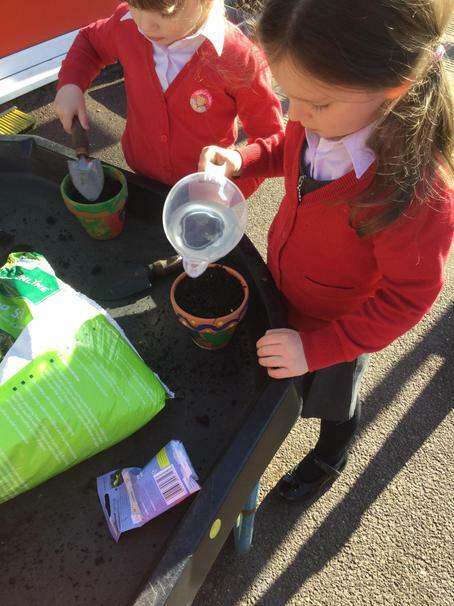 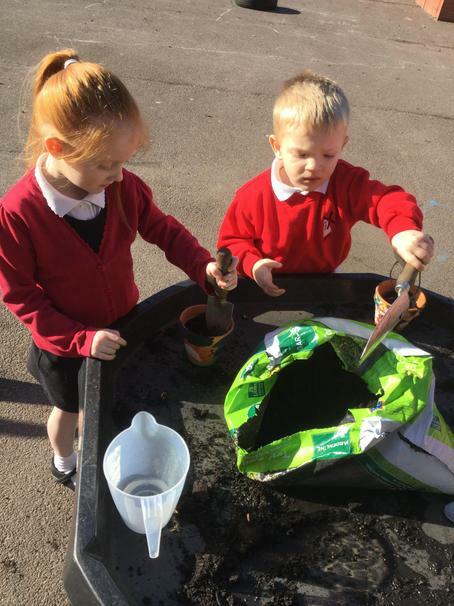 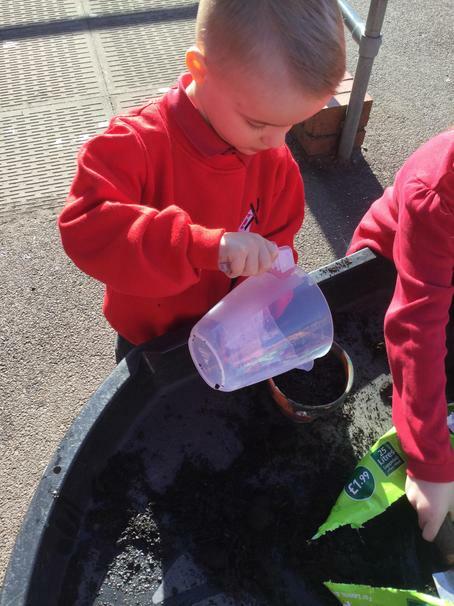 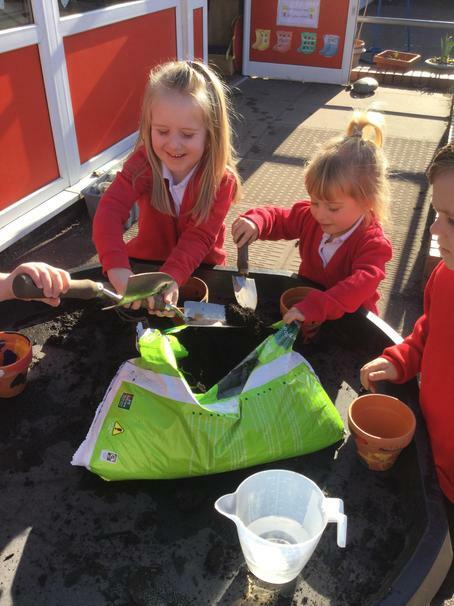 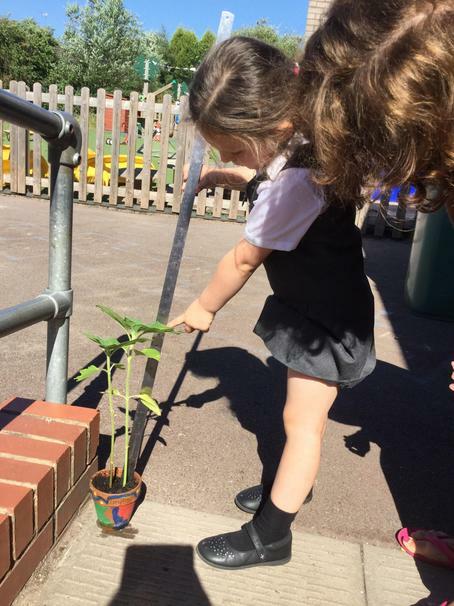 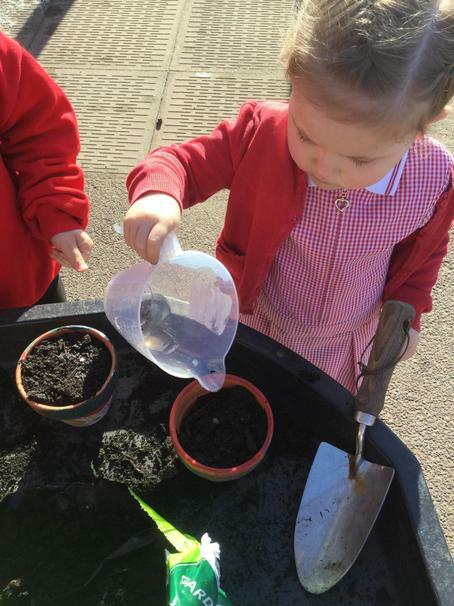 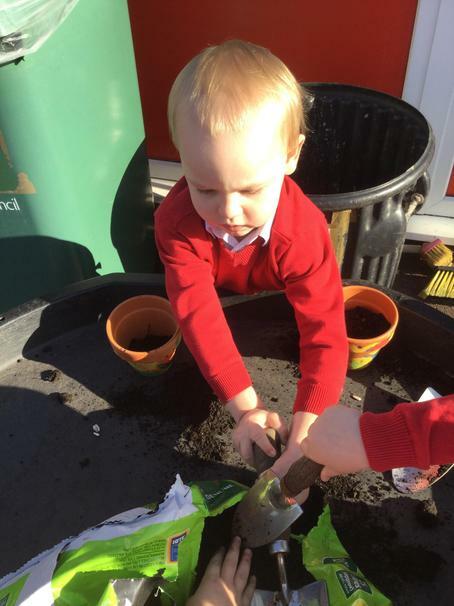 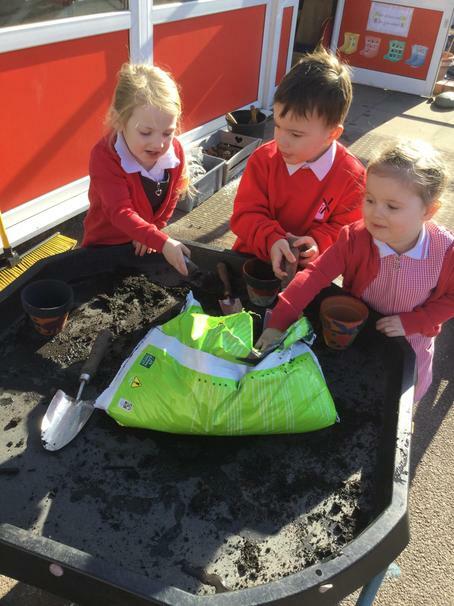 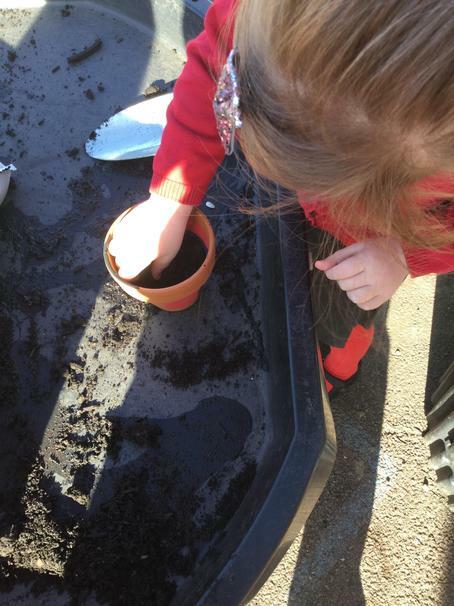 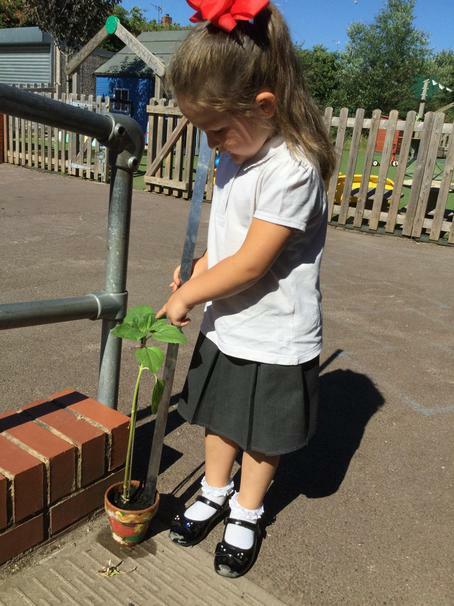 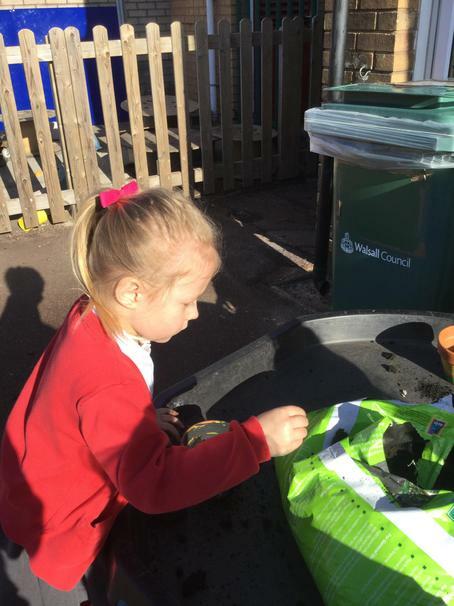 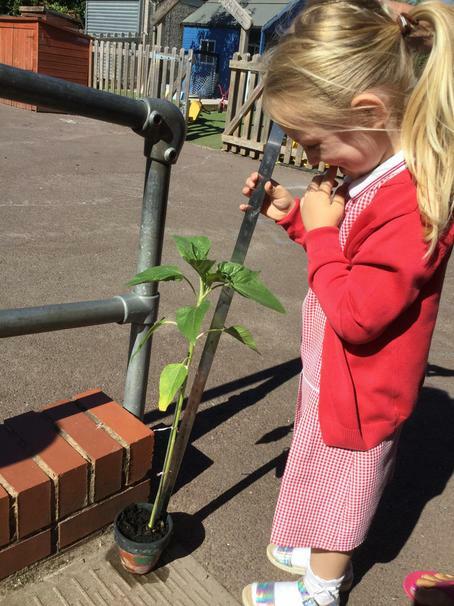 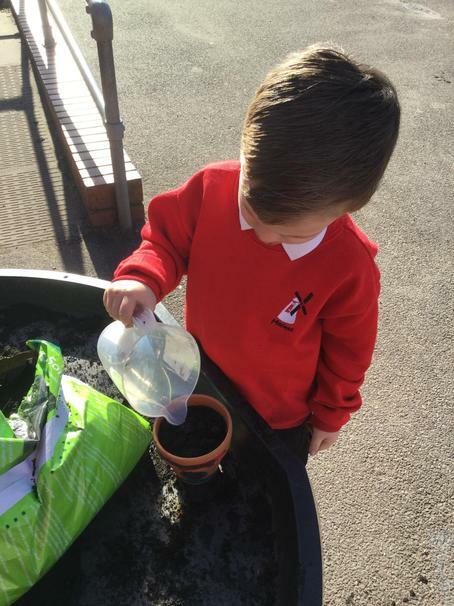 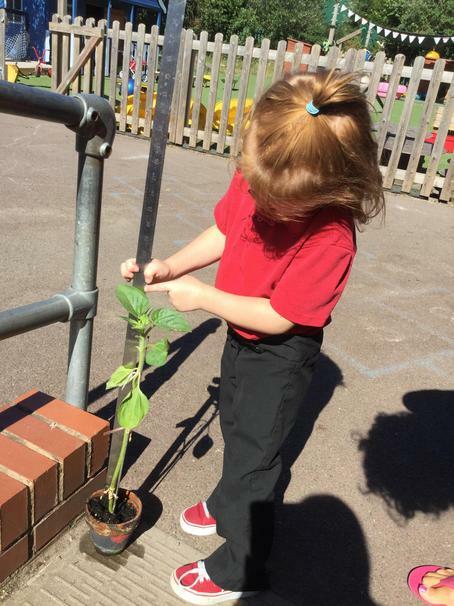 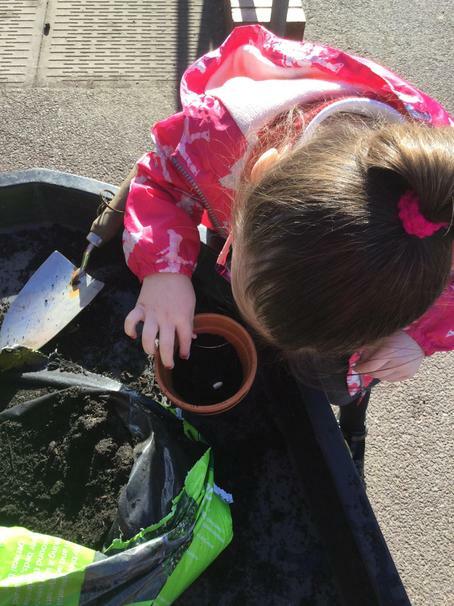 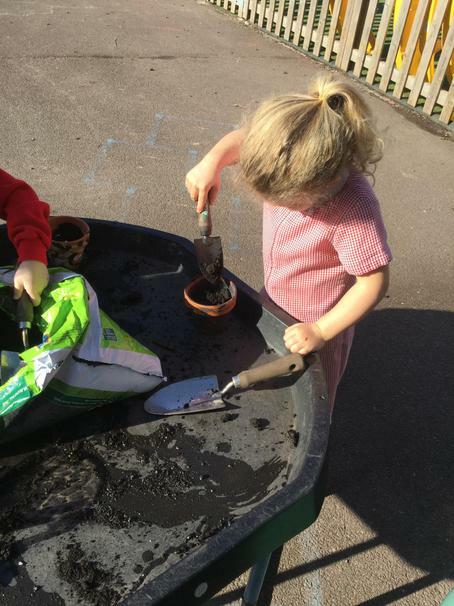 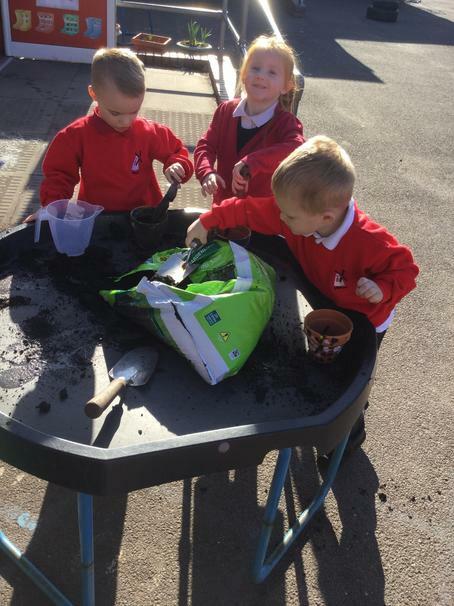 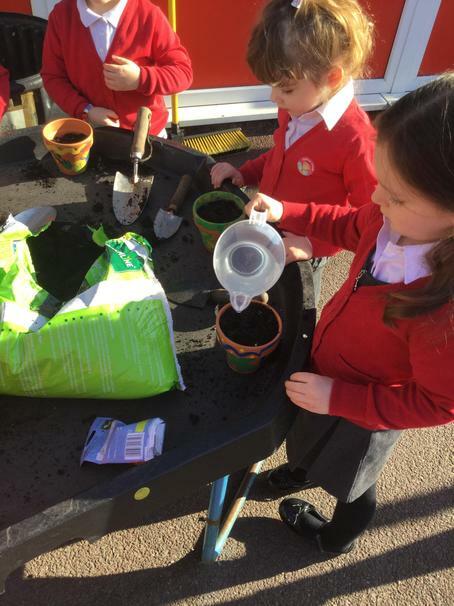 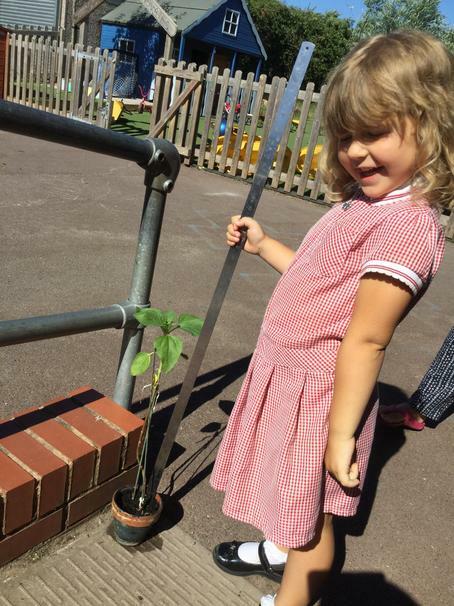 Monday 26th March - We planted the sunflower seeds. 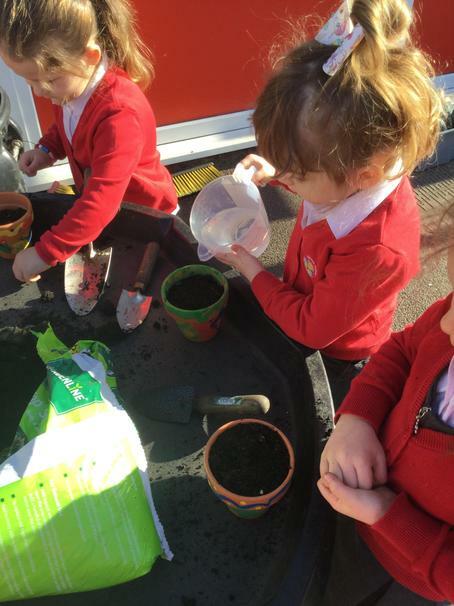 Monday 16th April - Wow look what we came back to the seeds have sprouted, into shoots. 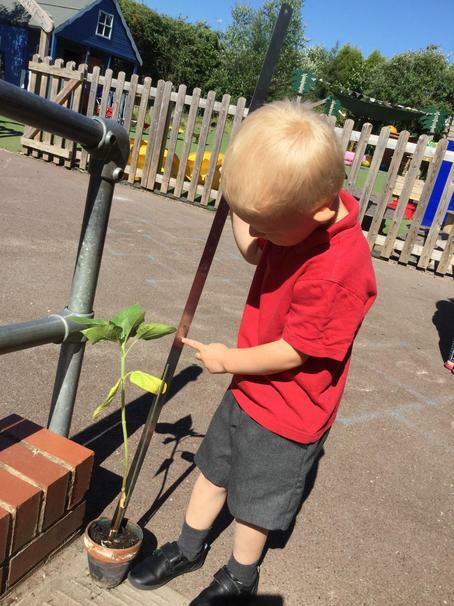 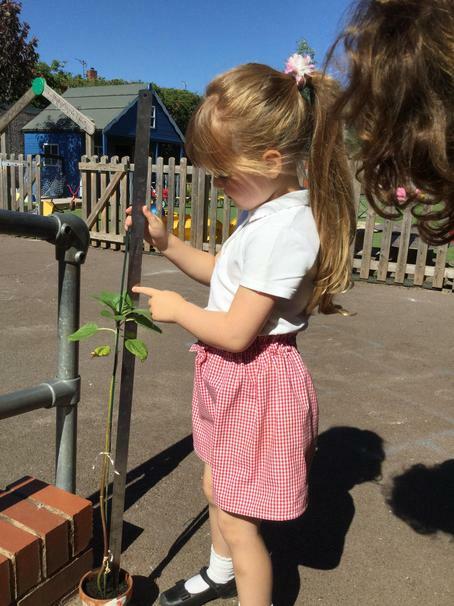 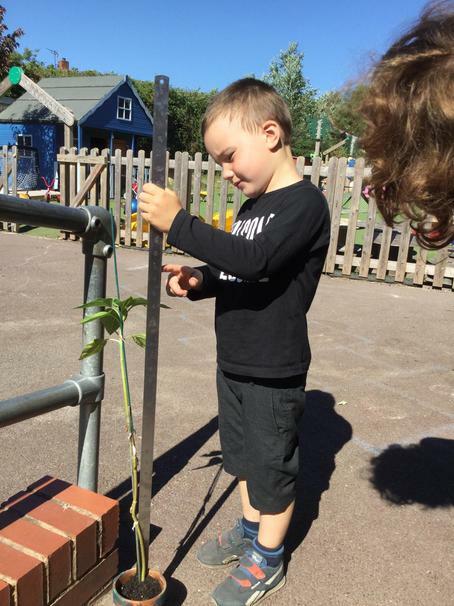 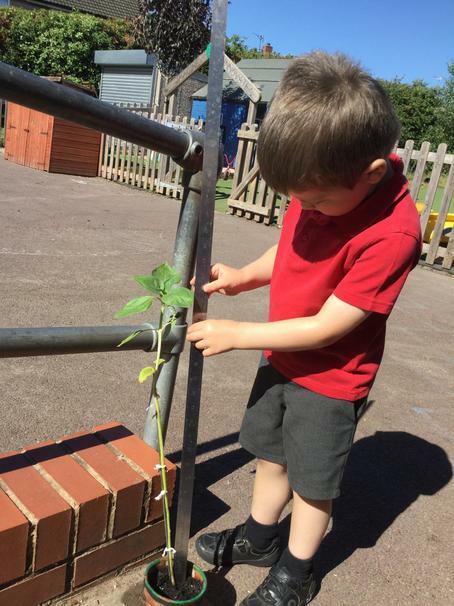 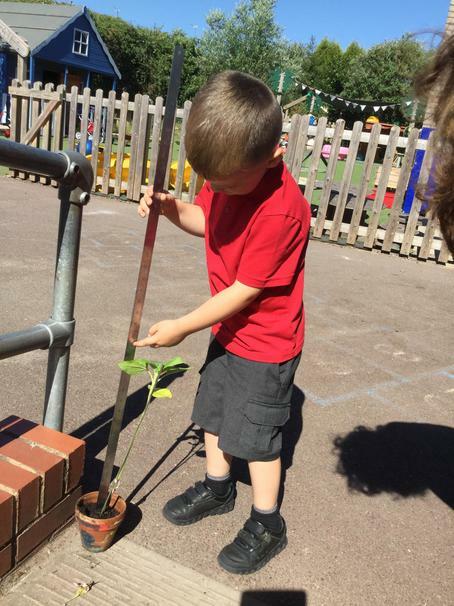 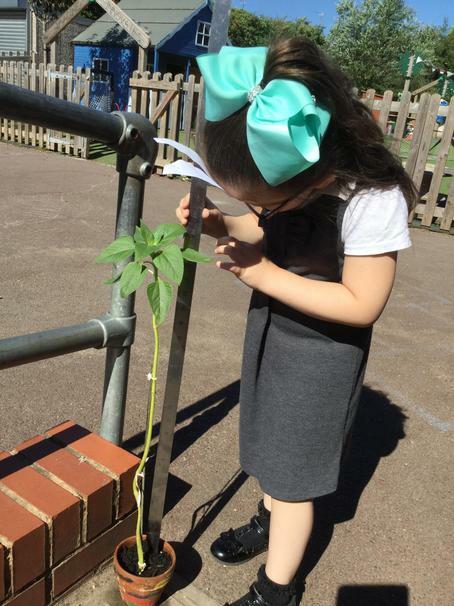 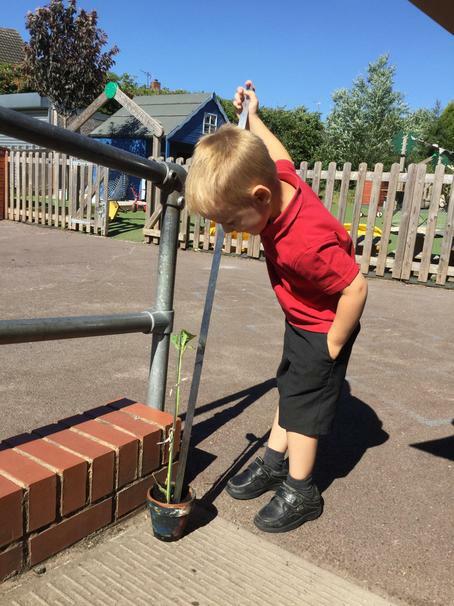 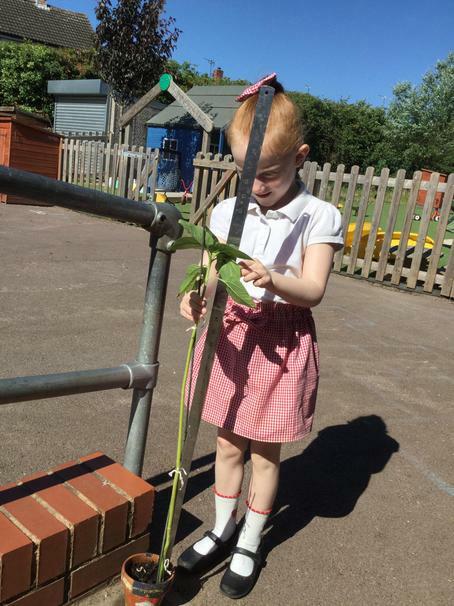 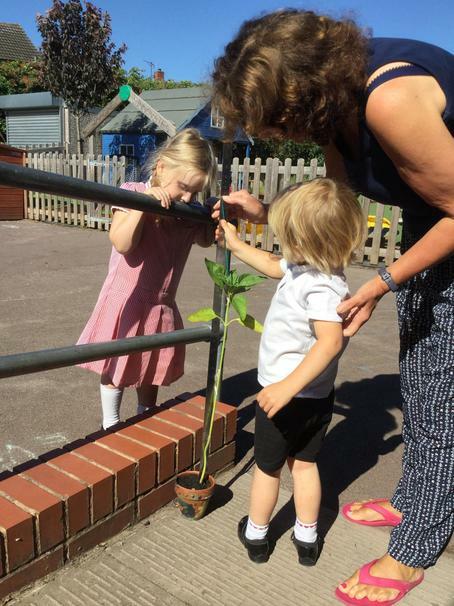 Mrs Sheldon supported the plants with sticks, we are just looking at them so that the stems can get nice and strong.